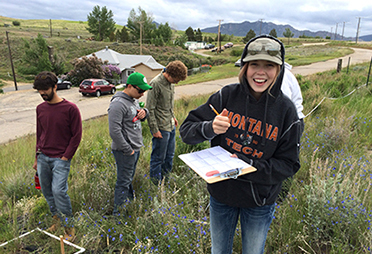 Biology at Montana Tech is a gateway to expansive possibilities in medicine, veterinary medicine, ecological restoration, wildlife biology or graduate school. B.S. in Biological Sciences B.A.S. Montana Tech's Biological Sciences program is recognized and accredited by the Northwest Association of Accredited Schools (NAAS). Students may pursue a B.S. in either Cellular and Molecular Biology, a B.S. in Organismal Biology, a B.A.S. in Biology or earn a Biology Minor. 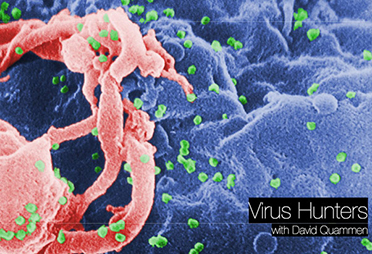 Tech Biology Professors featured on "Virus Hunters with David Quammen"
Montana Tech Biology Professors Amy Kuenzi and Emeritus Professor Rick Douglass were featured on "Virus Hunters with David Quammen" for their groundbreaking research on hantavirus. 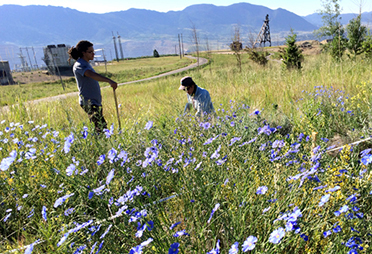 A restoration plan to develop sustainable plant communities on the caps of the Butte Hill. Inspiration for the project came out of federal and state regulations to restore disturbed landscapes with native plants. Montana Tech biology students are directly involved in research activities through independent projects or by assisting faculty in important research projects. Students learn biological sciences in an environment that encourages close student-faculty interaction and take advantage of research and education opportunities provided by Tech’s location near national parks, wilderness areas, wildlife management areas and world class trout streams. The Biological Sciences faculty are actively involved in a wide range of research projects, providing unique opportunities for undergraduate students to participate by conducting independent investigations or by assisting faculty members. Professor Amy Kuenzi is nationally respected for her research on deer mice ecology and hantavirus transmission, and Dr. Marisa Pedulla is well known for her phagedigging program that involves middle school, high school, and undergraduate students in scientific inquiry regarding bacteriophages. Dr. Robert Pal has international research collaborations in Europe, China, and India on studying biological invasions. Learn more about our world-class faculty.